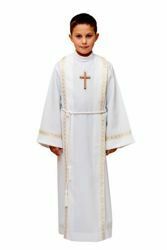 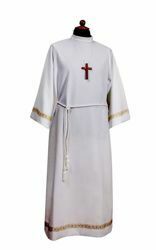 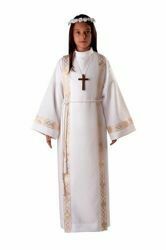 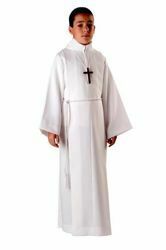 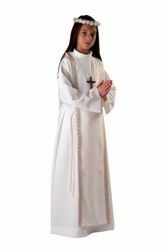 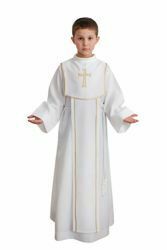 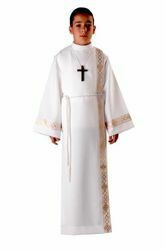 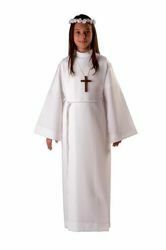 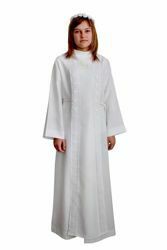 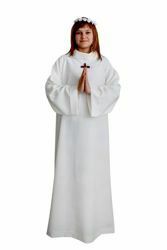 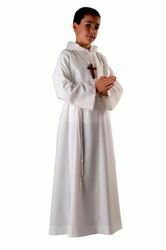 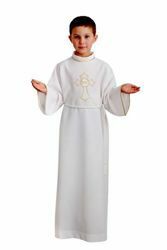 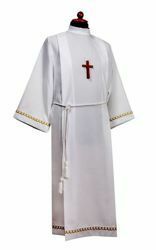 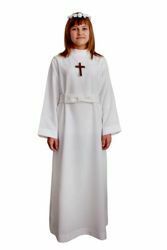 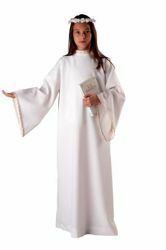 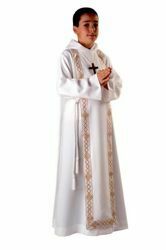 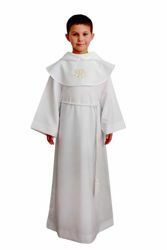 First Communion Albs and Tunics, First Communion dresses, inexpensive Robes and accessories (veils, circlets, wreaths, gloves, crosses, First Communion cinctures) for boys and girls in white or ivory polyester, viscose, cotton or in precious wool blend. 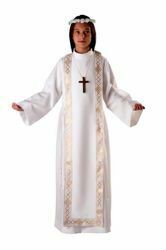 Our First Communion Albs and robes are produced in Italy by ecclesiastical tailorings specializing in Ecclesiastical Dresses and Religious Clothing. 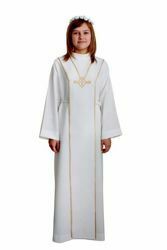 Tunics are available in different styles with hood, scapular, folds, turned collar, unisex or for male and female, and decorated with golden or colored edgings. 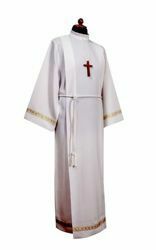 Excellent value for money and made in Italy quality.